Talk about a baby boom! I have had my busiest months of newborns during my five years in business in August and September. A little bit about my newborn sessions. Every session features a short series with mom, dad, and baby to feature all of that new love. I encourage parents to be in images with their baby, it is not mandatory, however. I try to make these very timeless and classic because often those are hanging on your walls the longest. All of your images will be shown in your gallery in both color and black and white. 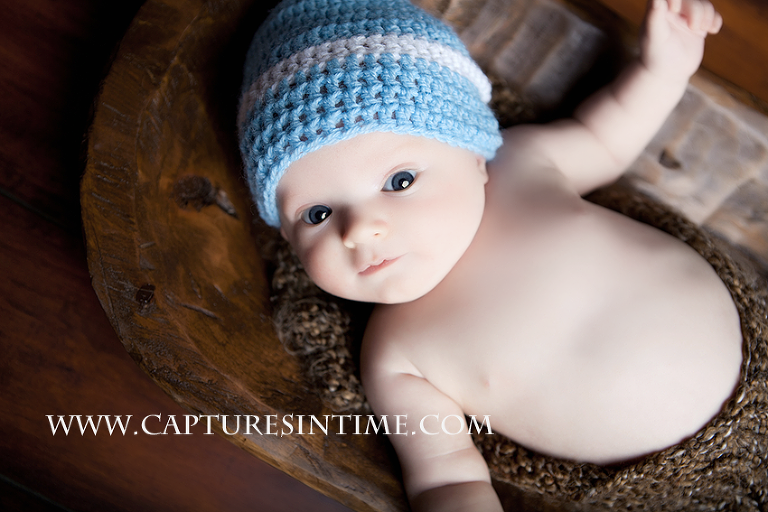 One of the favorite shots my clients rave about is my wide-eyed, close-up shots of babies. I love to get sleeping shots o the baby, but think that the eyes are truly the windows to the soul and it is important to have lovely open-eyed shots. 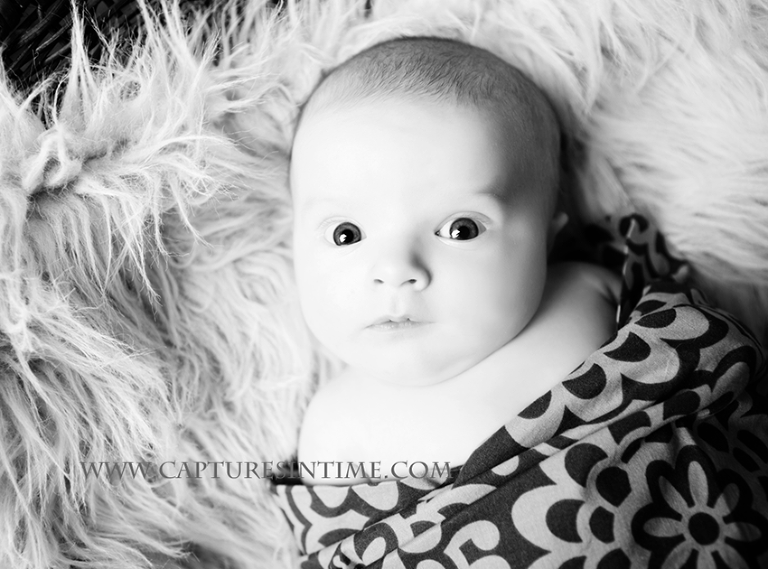 If they sleep through the entire session, often I will wake them up and get some shots of those pretty peepers! I have over 30 backdrops I stock in the studio to use with our wide selection of vintage props, baskets, and blankets that I use to make little “baby rooms”. All you need to bring is yourself and baby. There are tons of options. This little man was passed the typical two-week newborn window, but that doesn’t matter. It really is never to late for newborn portraits. He had this little “cherub” face and big, blue eyes. I think I did squish his cheeks a few times, how could you not? Read here about what to expect during our portrait sessions.